Wind Cave has what you'd expect - plenty of wind. But there's much more you can experience in this area of the country. Above ground enjoy rolling prairies, cool rock formations, and gorgeous pine forests. Introducing our multi sport tour – Mt. 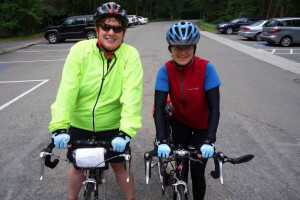 Rushmore Sampler, a fully supported tour including hiking, biking and more. Operating for over 37 years - we know adventure! There is no entrance fee to Wind Cave National Park. 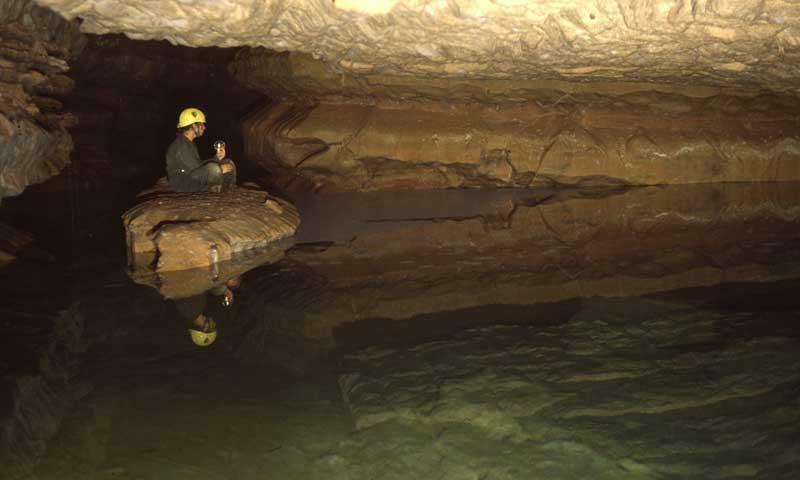 A variety of underground tours help visitors explore the cave’s passages. 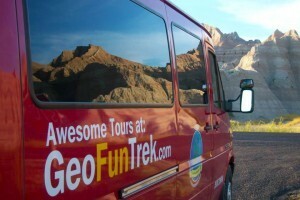 Tours range from $10 to $30. Campsites at Elk Mountain Campground are $18/night, depending on the season. Wind Cave National Park, set among the rolling prairie and Ponderosa Pine forests of the Black Hills, is a haven for wildlife – everything from bison and pronghorn to hawks and black-footed ferrets – but it’s the Wind Cave that brings the Park its name and fame. This large cave (over 130 miles of passages have been mapped, with many more remaining to be discovered, making it the fourth longest cave in the world) holds 95% of the worlds calcite boxwork formations and is reputed to have the densest concentration of passages of any other cave. Above the cave, the 30,000 acres of open prairie lands of the Black Hills are a popular place for hiking, camping, scenic driving and wildlife viewing. Lakota Indians were the first to discover the entrance to the Wind Cave, thinking that the wind blowing from the natural entrance came from the underworld and holding the site as a sacred spot. Despite its early discovery, it wasn’t until the 1880s that explorers began investigating the cave and the early 1900s that the cave was first surveyed and the area established as a National Park. After this initial interest, little was done to further survey the cave until the 1950s. Since then, much has been done to continue mapping and surveying the Wind Cave, including the discovery of the Blowhole (a second entrance to the Wind Cave); discovery of the Gypsum Palace and Calcite Lake; and the exploration of the Spillway, which opened up even more passages. Wind Cave National Park has a variety of guided tours, all of which are at least moderately strenuous and vary in length from one to four hours. While the shorter tours stay to the outer fringes of the cave and the lit walkways and stairs, the longer tours are done by headlamp or candlelight and give adventurous souls a chance to crawl through tight passages and explore the rooms and speleothems that are hidden further in the depths of the cave. Reservations are recommended and can be made in person or by calling 605-745-4600. Fees range from $10 to $30 for adults, depending on the tour. In addition to exciting cave tours, Wind Cave National Park has a system of hiking trails that traverse across the prairies and Ponderosa pine forests of the Park. The 30 miles of trails can be seen in shorter segments (like the 1.4-mile Cold Brook Canyon Trail, which tours a prairie dog town and Cold Brook Canyon or the one-mile interpretive Rankin Ridge Natural Trail, with its views of the surrounding Black Hills) or longer day hikes (the 8.6-mile Highland Creek Trail is a strenuous trail that takes hikers through the many diverse ecosystems within the Park). See all Wind Cave Hiking Trails. If you want to see the park on wheels, there are three strips of well-maintained road available to visitors. Wildlife Loop Road, Iron Mountain Road, and Needles Highway travel through the backcountry so you can view forests, hills, beautiful meadows, and more. 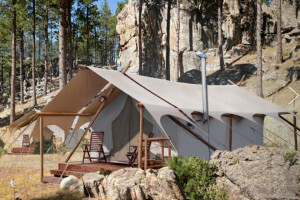 Wind Cave National Park is also a great place to bring the whole family camping. Elk Mountain Campground is open year-round and has running water spring through fall (water is turned off from late fall to early spring). Sites are first come, first serve. Campsites are $18/night when water is turned on and $9/night in the winter when the water is turned off. In the early 1900s bison, pronghorn, and elk were introduced into the park to live in the prairie habitat, making Wind Cave National Park a great place to observe wildlife. Today the bison population has grown so much that there must be yearly roundups and transportation of the animals to other parks in the country. There is no entrance fee for Wind Cave National Park. There are fees for tours and camping. Wind Cave National Park is located along US-385, south of Custer and north of Hot Springs, South Dakota. Wind Cave National Park Visitor Center opens at 8am daily, year-round. The Visitor Center closes at either 6 or 7 during the summer (depending on the month), at 5 from the end of September through mid-October and at 4:30 from October through April. For more information, call 605-745-4600 or visit www.nps.gov/wica. Plan a trip to Glacier National Park, Whitefish, and Kalispell Montana. Hot Springs, SD is home to Wind Cave National Park, one of the longest and most spectacular caves.